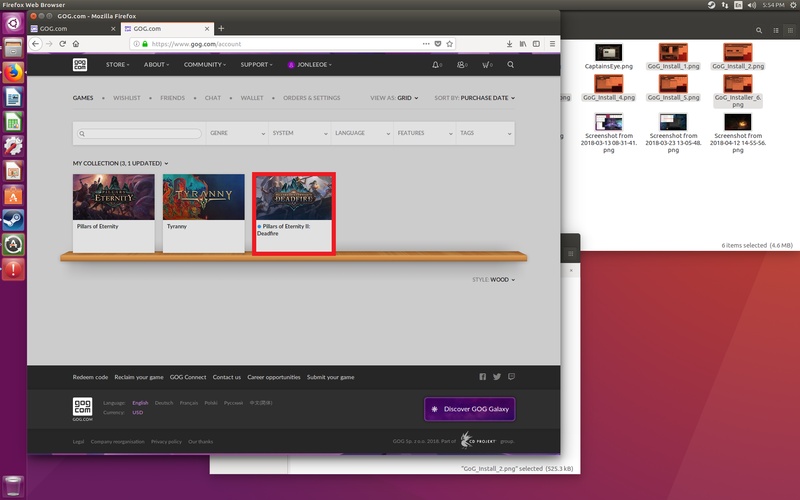 Linux: How do I install Pillars II from GOG? 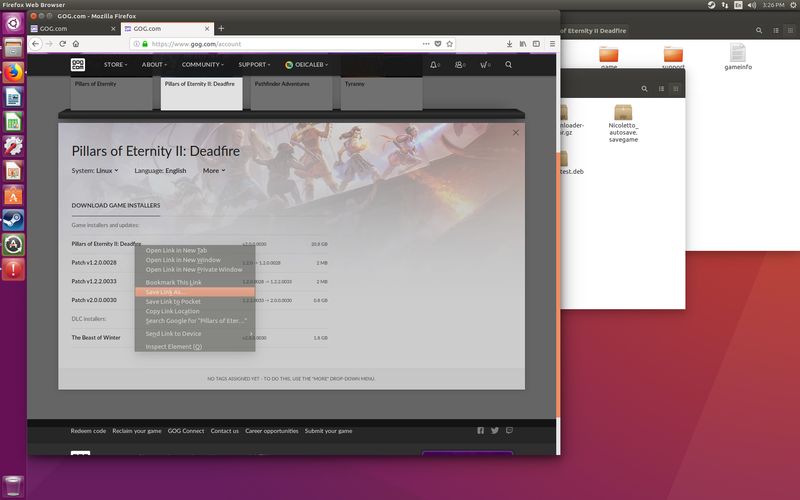 If you are having trouble installing Pillars of Eternity II: Deadfire from GOG onto your Linux machine, then you may follow the steps listed below to help you get adventuring! 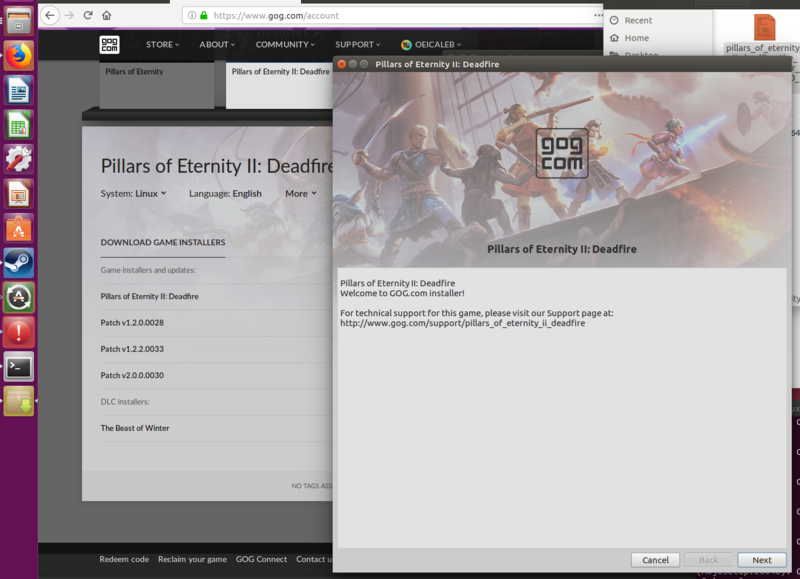 Purchase Pillars of Eternity II: Deadfire from GOG. Click on your account and then click on the Games option in the dropdown menu. From the Games page, click on Pillars of Eternity II: Deadfire. On the game page you will see a list of the downloads for the game. Right click on the version you want to download and save that file to your local machine. 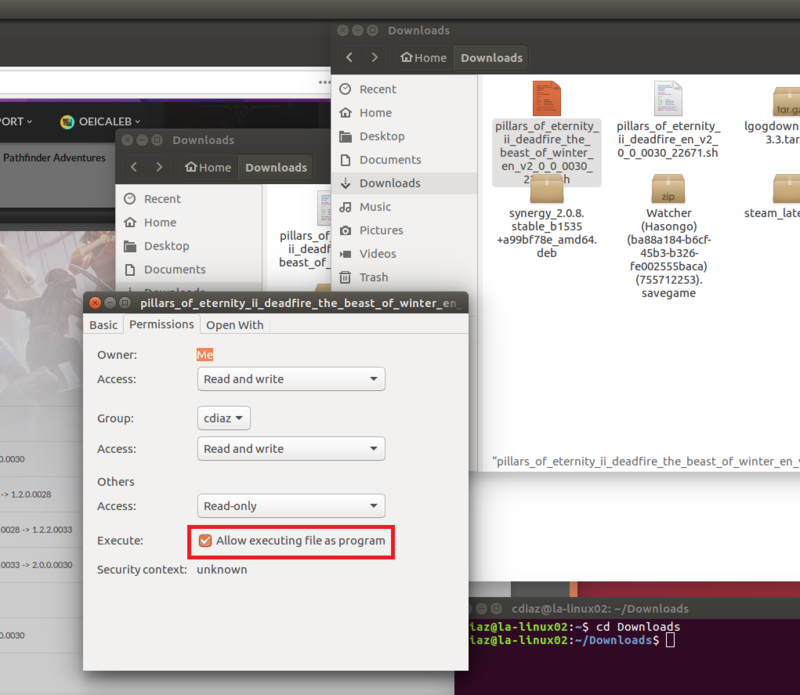 Navigate a file browser to the downloaded file's location. Right click on the file and select Properties. In the Properties window, check the Allow executing files as program checkbox. 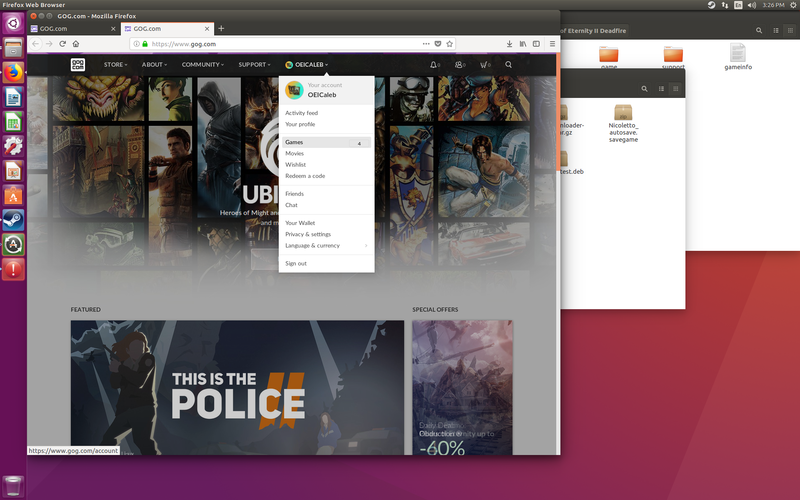 An installer window will open up. Follow the prompts to install the game. Enjoy Pillars of Eternity II: Deadfire!